The National Institute of Design (NID) has developed a new colour scheme for the recently announced high-speed train Tejas, which is expected to set tone for the future of train travel in India with operating speeds up to 200 kmph. This project is an outcome of the MoU signed between NID-Ahmedabad and the Ministry of Railways in April last year for collaboration in all fields of design relevant to rail transport and allied activities through the RDC (Railway Design Centre) set up in Ahmedabad, Gandhinagar and Bengaluru campuses. The colour scheme will shape a new identity for the coaches being developed for a spate of trains announced in the recent Rail Budget. For now, five thematic colour schemes will adorn the interior and exterior of the new rail coaches to mark the identity of the high-speed train expected to be launched by May. “While ‘Energetic India’ theme is blue with orange streaks that signifies the imaginative, ambitious and healthy young India, ‘Mythical India’ through a largely orange and yellow combination taps into India’s traditional narratives such Mahabharata, Ramayana, Puranas and Vedas. The ‘Ratnakar’ theme denotes the Indian Ocean which is a mine of gems through an oceanic colour and the ‘Revival of India’ theme through green and blues denotes the lost spirit, glory and pride of the nation. ‘Vital India’ which is also in blue colour denotes the nation’s spirit, pride, speed and precision that are embodied in the new government schemes, including Make in India, Skill India and Start-up India among others. All these colours will be interspersed with light grey panels,” said Mohammed Naim Shaikh, faculty and Studio-in-charge of Railway Design Centre(RDC) at NID that consists of 12 faculty members. He said the new colours have not been incorporated in the recently launched Gatiman Express, which has a maximum speed of 160 km per hour. While the Indian Railways currently has close to 60,000 coaches, the Railway Board in Delhi will soon decide how many coaches will be rolled out with the new colour scheme given by NID. “We wanted to have a different brand, colour scheme and names for the semi-high to high speed trains that can go up to 200 kmph trains. The colour palette developed by NID will be implemented in the interior and exterior of the Tejas coaches. They will be adopted and manufactured at the rail coach factory in Kapurthala. The first few coaches of the new train (up to 200 kmph speed) will be rolled out with the new colour scheme in May. 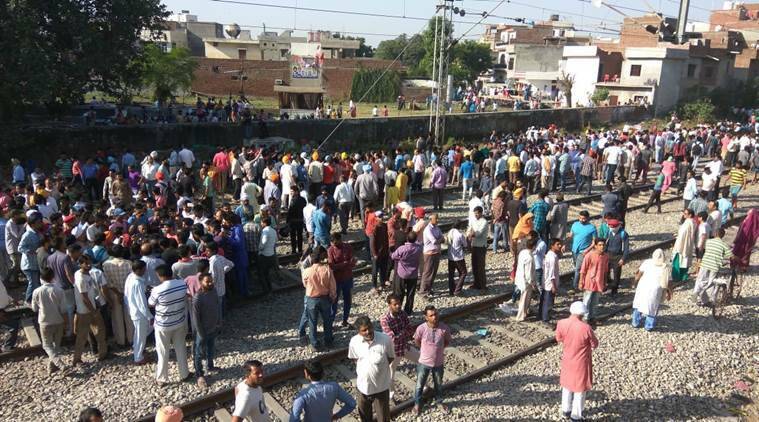 We have already done the graphic simulation and seen the workability of the colour scheme, however the Railway Board in Delhi will take a call on how many coaches will be manufactured with the new colour scheme,” said Inderjit Singh, executive director(carriage), Research Designs & Standards Organisation(RDSO) — the nodal agency looking after design aspect of the railway coaches. NID Bengaluru faculty members had also earlier worked on the colour palette, however, the project shifted to the RDC-Ahmedabad as more design options were sought, said officials.